Frederick Glaysher invokes a global vision beyond the prevailing conceptions entrenched in postmodernism and postmodernity. In Letters from the American Desert, Glaysher reflects on the cultural, political, and religious history of Western and non-Western civilizations, pondering... read full description below. Frederick Glaysher invokes a global vision beyond the prevailing conceptions entrenched in postmodernism and postmodernity. In Letters from the American Desert, Glaysher reflects on the cultural, political, and religious history of Western and non-Western civilizations, pondering the dilemmas of postmodernity, in a compelling struggle for spiritual knowledge and truth. Fully cognizant of the relativism and nihilism of modern life, Glaysher finds a deeper meaning and purpose for the individual and the world community in the writings and global vision of Baha'u'llah, as expressed in the Reform Bahai Faith. 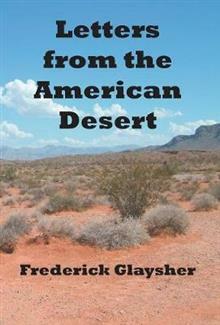 Confronting the antinomies of the soul, grounded in the dialectic, Glaysher charts a path beyond the postmodern desert. Alluding to Martin Luther and W. B. Yeats at All Souls Chapel, Glaysher calls Reform Bahais and others to embrace the universal, moderate form of the Bahai Teachings as interpreted by Abdu'l-Baha, Baha'u'llah's son, who had spoken throughout the West in Europe, England, and the United States from 1911 to 1913. Abdu'l-Baha's message of the oneness of God, all religions, and humankind holds out a new hope and vision for a world in spiritual and global crisis.Far from a theocracy, the Reform Bahai Faith envisions a modest separation of church and state as the will of God, in harmony and balance with universal peace, in a global age of pluralism. 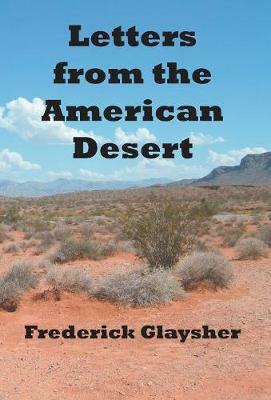 Frederick Glaysher lived for more than fifteen years outside Michigan-in Maebashi, Japan, where he taught at Gunma University; in Poston, Arizona, on the Colorado River Indian Tribes Reservation in the Sonoran Desert; in Normal, Illinois, on the central farmlands, and in Godfrey, Illinois, on the Mississippi River, ultimately returning to his suburban hometown of Rochester, witnessing everywhere the maladies of modernity, as only an inspired writer can. A Fulbright scholar to China in 1994, Frederick Glaysher studied at Beijing University, the Buddhist Mogao Caves on the old Silk Road, and elsewhere in China, including Hong Kong and the Academia Sinica in Taiwan. While a National Endowment for the Humanities scholar in 1995 on India, he further explored the conflicts between the traditional regional civilizations of Islamic and Hindu cultures and modernity.